Amazing deal of 6 Pcs Satin Finish Children's Bow Ties. The classic formal 2 inch pre-tied bow ties come in a wide variety of colors making them a perfect matching compliment to any tuxedo. You may also customize the order by selecting 'Name Your Choice' and email us your selection. They are adjustable to fit up to a 10 inch neck. 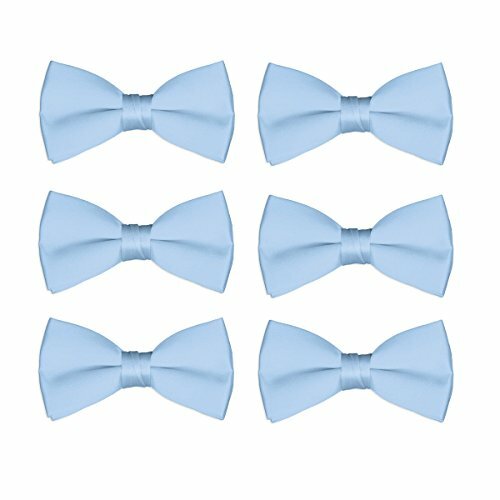 6 Pcs of Classic Boy's Bow Tie for Tuxedo and Chorus. If you need more than 6 ties, you may add the 'Extra one tie' to your cart as many as you need. For example, if you need 7 bow ties, you will add a set of 6 ties, plus 'Extra one tie to cart together. Wedding items.Friendship(Kumihimo) bracelet(big Red) of Hida(Japanese ). [Your Name.] holy place, the handcraft of the craftsman of Hida.